A Home Away From Home..."Nainital - The Paradise City"
Altitude 1938 Meters or 6,360 ft, above sea level. Petrol Pumps Near Bus Station Tallital and Sukhatal Mallital. Automobile Workshops Near Bus Station Tallital and Sukhatal Mallital. Toll Tax Toll tax is charged by municipality from the vehicles entering the Nainital town. It is charged at Tallital from the vehicles entering from Haldwani -Bhowali, while at Sukhatal from the vehicles coming from Kaladhungi side is NOT charged now. 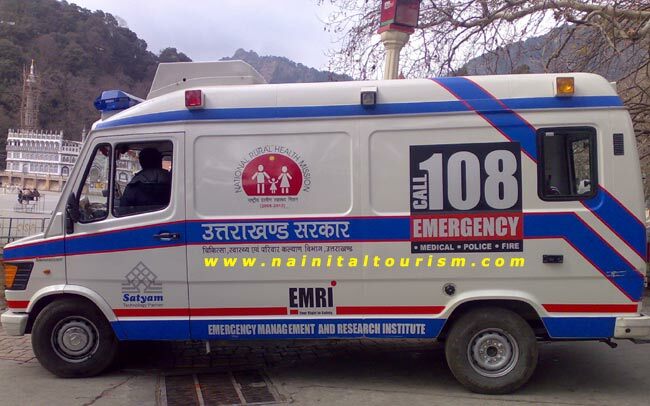 Emergency Service in whole Uttarakhand Dail / Call 108 The Emergency Mobile Van will reach you within 10-20 minutes.